BuzzFeed has it all, videos, pictures, quizzes, and articles. 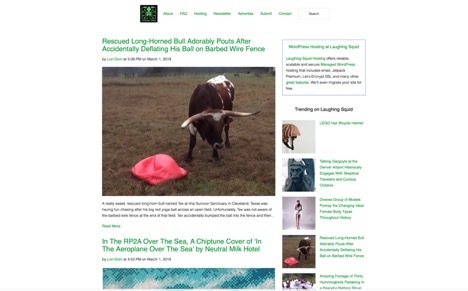 This site gives you a large assortment of stories about celebrities, social events, and original reporting. No matter what you’re looking for, D.I.Y. 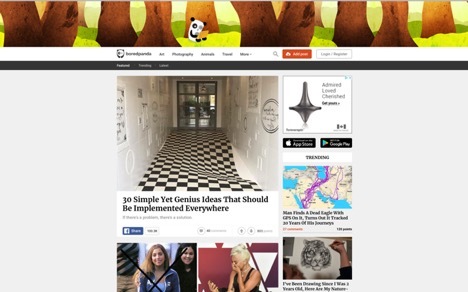 projects, cute animal pictures, or political news, it can be found on BuzzFeed. This site is a place where you can relax your brain, give yourself a few minutes each day to browse the new articles on BuzzFeed. Its YouTube channel has over 9.1 billion views, there’s sure to be a video you’ll enjoy. BuzzFeed also has many recurring video series including, ‘’ Fun Facts ‘’, ‘’ The Try Guys ‘’, and ‘’ The Creep Series ‘’. Most of the stuff you can find on BuzzFeed has been shared on social media. BuzzFeed prides itself on how viral their posts can get. For more fun websites to go to when bored, browse this great list of sites like BuzzFeed. Bored Panda is an awesome site that is sure to make you smile. It’s full of creative people who submit their own pictures, artwork, and stories, you can submit your own too. Bored Panda must be added to boredom websites, it’s a no-brainer. The only downside is that you might not want to leave so visit that great BuzzFeed alternative now! This is a hilarious site very similar to BuzzFeed, that is perfect to soothe your boredom during a busy day. Laughing Squid is a blog that shares just about anything that could be amusing. 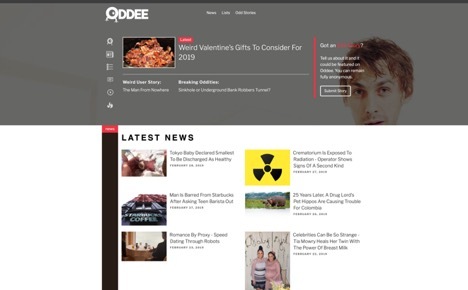 A picture of a cat in a wig or a video of the fastest banjo player is just a few things to expect in this funny addition to websites like BuzzFeed. Do you like strange and weird things? If you do, Oddee is for you. This site is all about the unusual. Take a break from life and escape to this offbeat addition to sites like BuzzFeed where you can learn about cool beer-infused products, stories about airplane survivors, even pictures about botched clinical trials. Oddee is a great place to learn random facts that you can throw in during a boring conversation. People of Walmart must be added to websites to go to when bored. This site is hilarious and will get you hooked. People of Walmart is exactly what it is. This site has pages and pages of photos of strange and unusual people shopping at Walmart. If you’re looking for some easy entertainment, check out this side-splitting website among boredom sites like BuzzFeed. Funny or Die is one of the best websites like BuzzFeed that will cheer you up, even after a very bad day. This site is all about comedy and user-generated, original content. 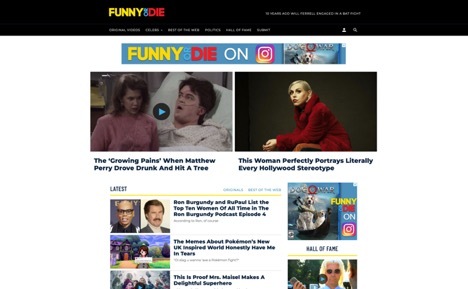 Funny or Die wants to make you laugh, the employees at Funny or Die spend hours sifting through the so-so content and keep only the most enjoyable videos. This explains the site’s name, if it’s funny, it stays, if it’s not, it dies. Enjoy this great site, we dare you not to laugh!